WHAT IS A SOLID PVC COVER? 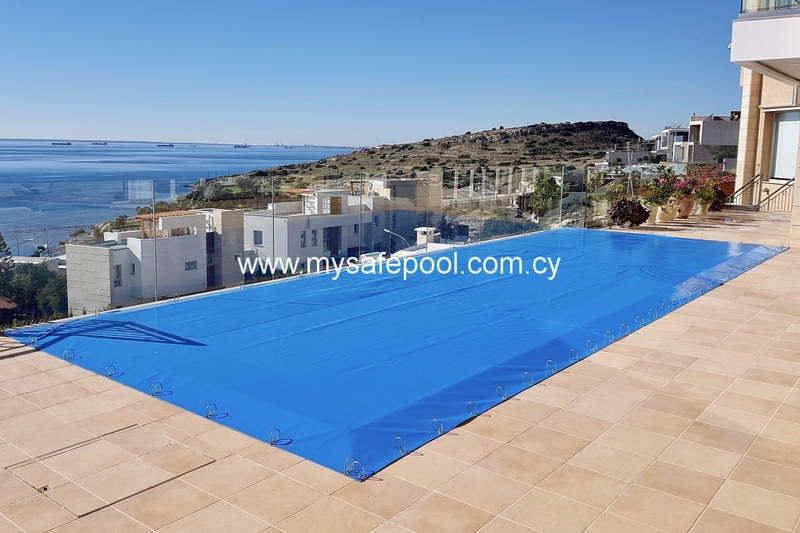 Our ‘Achilles‘ cover is made from dense, non-permeable PVC membrane and can be used year round, even on overflow pools. It’s an alternative – favoured by some – to our popular mesh Winter Debris Covers. WHAT DO CUSTOMERS LIKE ABOUT OUR ‘ACHILLES’ PVC COVER? It can close off a pool for long periods of time. 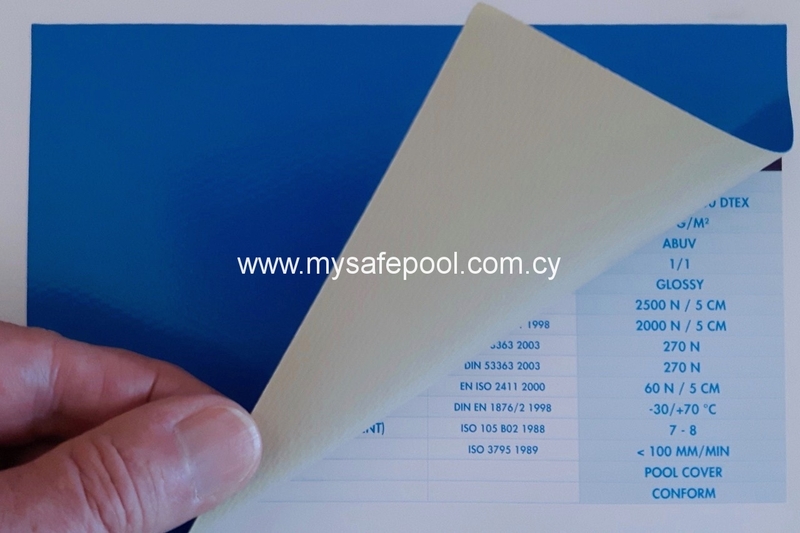 The two-tone material completely blocks out light and prevents all debris – even fine dust – from entering the pool. 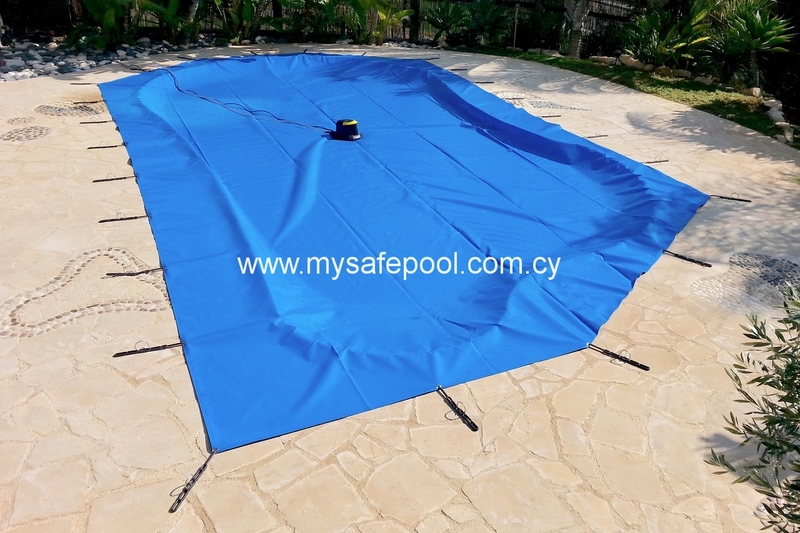 While the cover is in place, little or no water quality monitoring or maintenance is required. 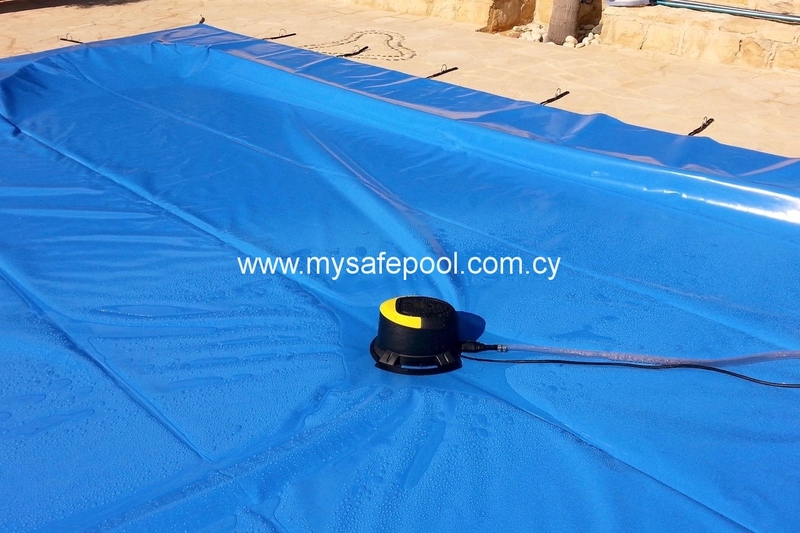 The cover can be left in contact with water, making it perfect for year-round use on an overflow pool. Because it is a solid cover, water evaporation is zero. 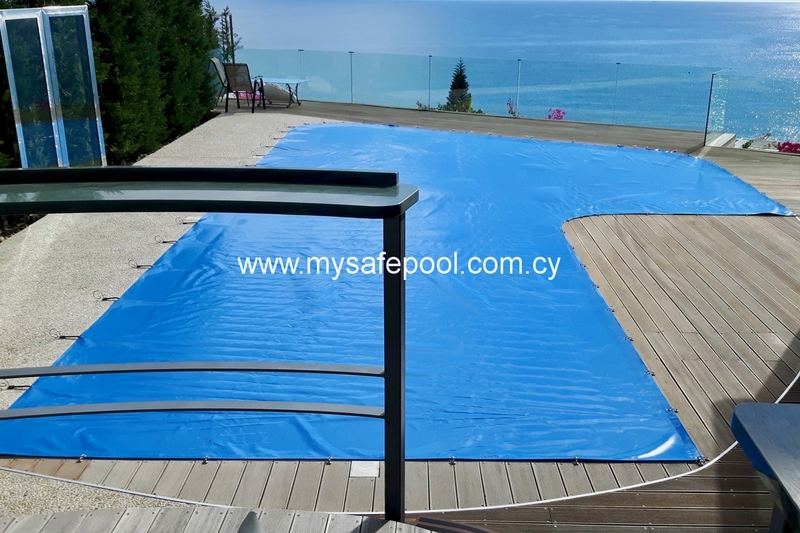 ARE THERE DRAWBACKS TO A SOLID PVC POOL COVER? 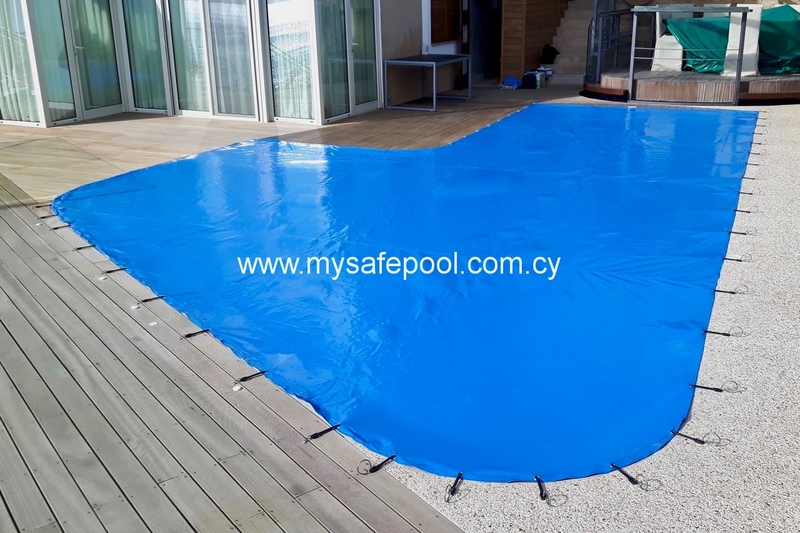 A Solid PVC Cover doesn’t allow rainwater to pass through the cover; consequently water will build up on top of the cover in a skimmer pool whenever it rains. This can create a safety hazard for young children. Furthermore, if the water is not removed promptly, leaves and debris will accumulate in the water. 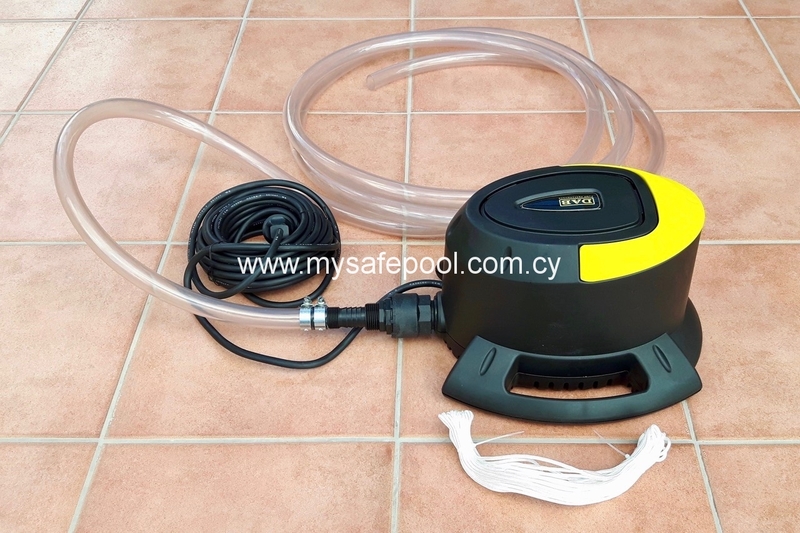 With skimmer pools an electrical pump is required to remove water from on top of the cover. You can buy an inexpensive unit from a hardware store, or we can supply a more sophisticated pump which switches on automatically whenever it rains. See photos alongside. 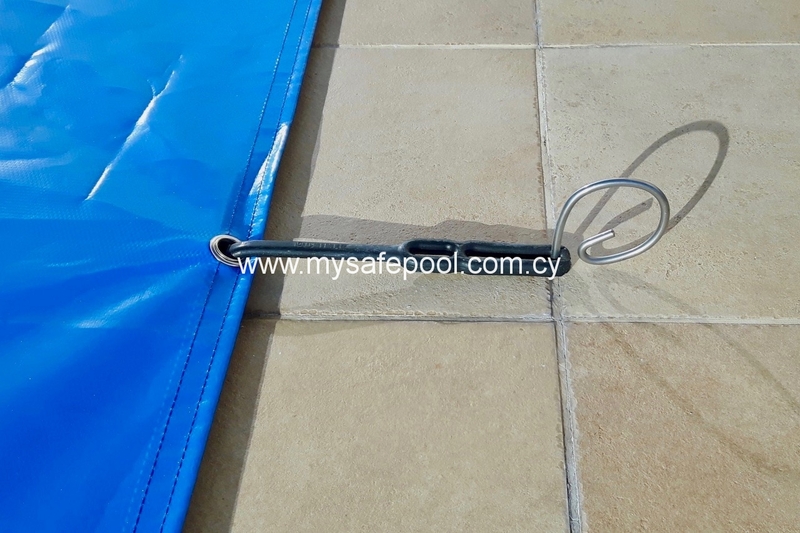 A Solid PVC Cover cannot be used on an empty pool, or a pool where water is not maintained to the correct level. HOW IS THE ‘ACHILLES’ COVER SECURED IN PLACE? There are a number of different options available and these are shown in the photos alongside. The method we use will be determined by the type of pool deck – whether ceramic tiles, crazy paving, stamped concrete or wooden decking. 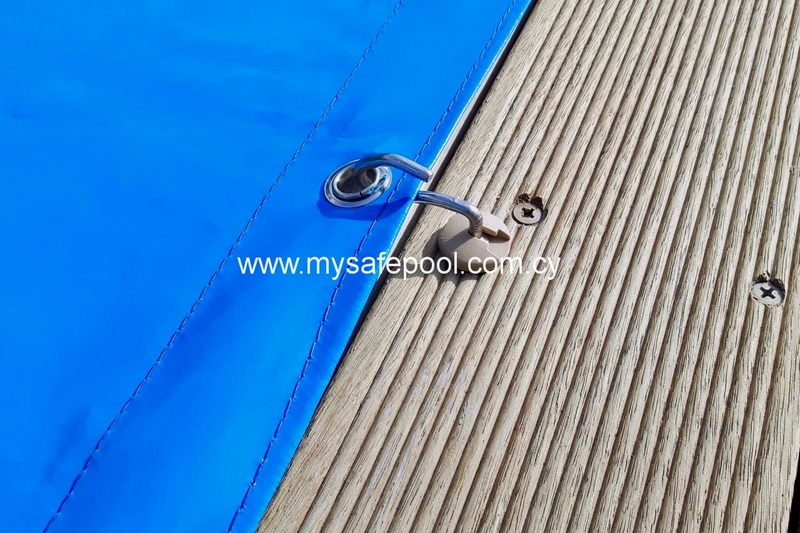 Nickel-plated eyelets are located around the reinforced perimeter of the cover. 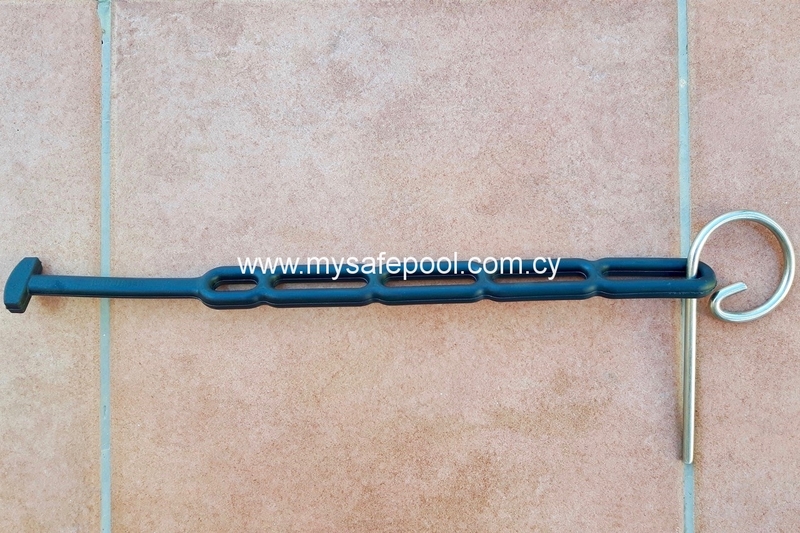 ‘ACHILLES’ SPECIFICATION: European material to NFP 90-308 (12/2013), specially made for pool covers and highly resistant to pool chemicals. 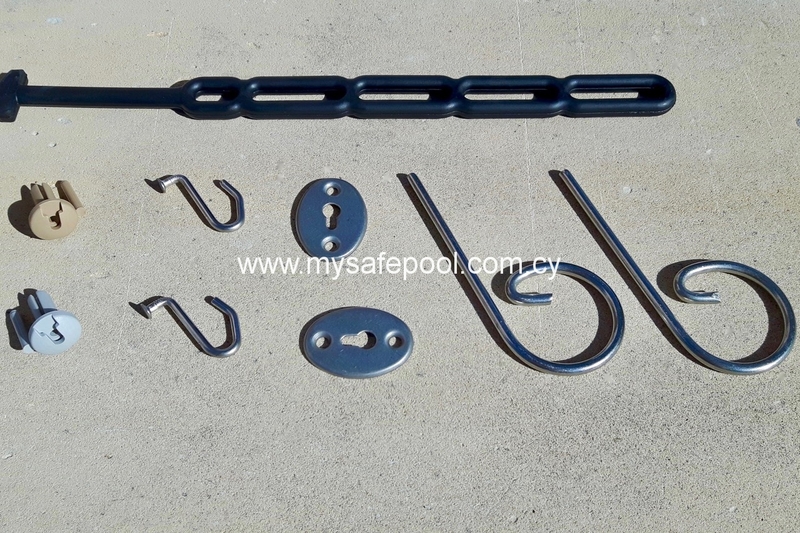 Weight 580g/sq.M, temperature resistant to -30/+70°C. IS THIS A SAFETY COVER? 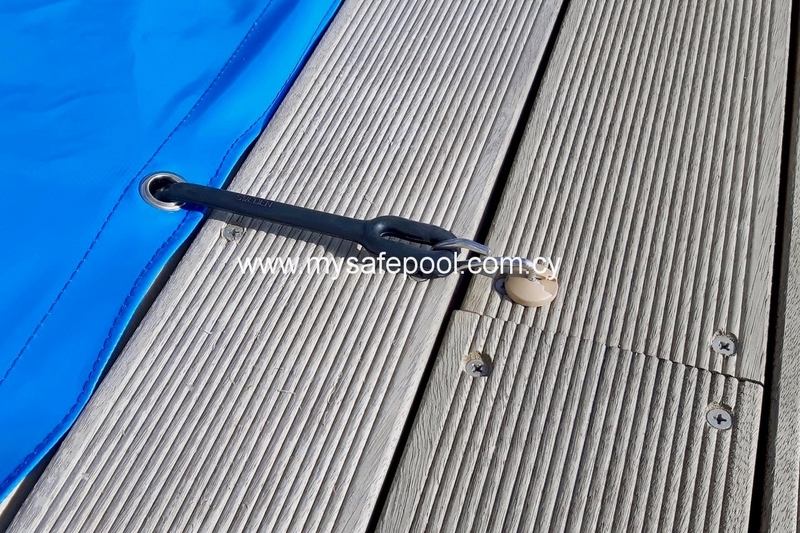 Although the ‘Achilles‘ cover is strong and durable, it cannot be regarded as a safety cover because the anchoring mechanisms used to hold the cover in place are not childproof. COLOURS AVAILABLE: Mid-blue, beige and mid-grey. 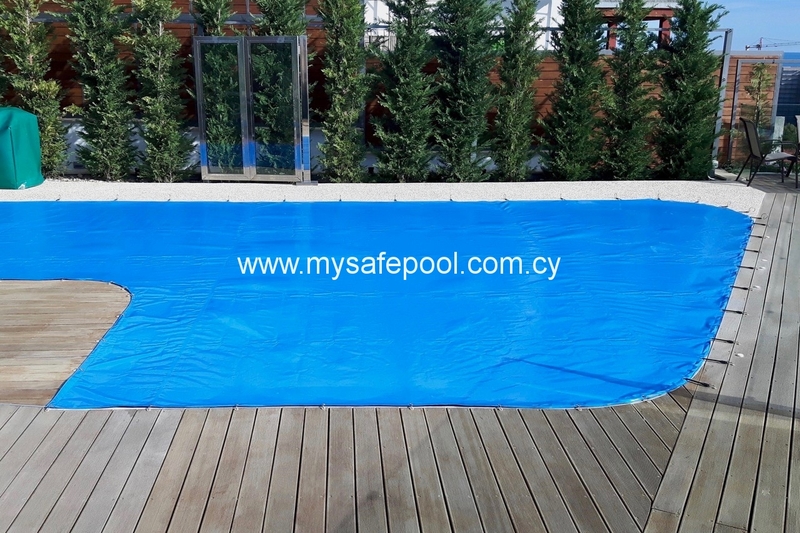 WARRANTY: Our ‘Achilles‘ Solid PVC Pool Cover comes with a conditional 2 year warranty; the water pump with a 1 year warranty. INTERNATIONAL ORDERS: We’re happy to ship our ‘Achilles‘ Covers almost anywhere in the World. Please ask for a quote.